NSI says its merger with Platinum Tools will help expand its market reach and add more category depth to its electrical and control products. In the 2018 CE Pro Brand Analysis, Platinum Tools was named the top Tools & Testers brand. 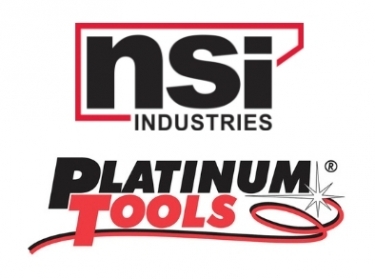 NSI Industries, LLC, a provider of electrical and control products, today announced a merger with the Newbury Park, Calif.-based Platinum Tools. NSI says it is looking to expand its product portfolio and market reach while creating new value for a wide range of customers. “The Platinum Tools product portfolio is entirely complementary to our NSI electrical solutions and will add immediate category depth,” says G. R. Schrotenboer, chief executive officer, NSI Industries. Platinum Tools’ portfolio includes cable management solutions, structured wiring products, tester kits, cutters, crimpers, and other products for electrical, industrial, security, audio/video, commercial, residential, datacom and telecom applications, which expands NSI’s market reach. “Our new combined strength, including our mutual commitments to delivering outstanding attention and service to our customers, creates substantial opportunities for us to offer a broad array of unique and industry-leading solutions to our customers,” says Lee Sachs, president, Platinum Tools. Platinum Tools’ products have earned accolades from CE Pro including being named the top brand in the Tools & Testers category in the 2018 CE Pro Brand Analysis.